– Instruction on the history, geography, climate, viticulture, wine making, and wine styles. 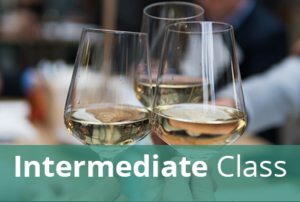 When studying the styles of sherry, students will learn about their differences, pairings, and best ways to serve. – A test (28 questions) graded after course to award the Certified Sherry Wine Specialist recognition to those with a passing score of 20. The Certificate of Achievement will be signed by both Lustau’s CEO and César Saldaña, Director of the Regulatory Council of Jerez. They will be numbered and a list of those that passed the course will be shared with the Regulatory Council. A Certificate of Recognition will be issued to those that do not achieve the passing grade but only signed by Lustau. We do encourage students to retake the exam at a later date there are no restrictions as to how many times they may submit.